Imagine coming home to find a stranger in your house. He acts like he owns the place, eats your food and drinks your beer, before leaving you reeling in confusion! Better send a letter to the Yokai Post for help from Kitaro, a charming character made by manga legend Shigeru Mizuki. Kitaro investigates strange phenomena and protects humans from ill-intentioned yokai. 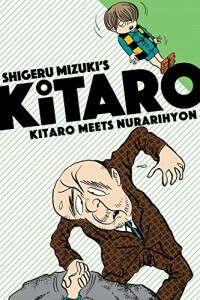 Shigeru Mizuki’s Kitaro – Kitaro Meets Nurarihyon is a manga volume collecting seven more of Kitaro’s paranormal adventures. While this book can be enjoyed as a stand-alone dive into the classic character’s adventures, your enjoyment can be enhanced by checking out Kitaro’s origin story featured in the first volume, The Birth of Kitaro, reviewed last year by JQ here. This book is one of several entries in a list of literary delights from Japan that Drawn and Quarterly has been bringing to America for affordable access. This volume was also translated by JET Alum and Shigeru Mizuki expert/JQ interviewee Zack Davisson (Nara-ken, 2001-04; Osaka-shi, 2004-06). Like it says on the tin, in this book Kitaro encounters a uniquely urban yokai: Nurarihyon. This creature takes on the appearance of an unsettling-looking and self-important man to stealthily wreak havoc as mundane as forcing you to serve him your best snacks and as extreme as explosions in cities. Many of the yokai Kitaro encounters cause trouble because it is in their nature, some have a need to feed, or have a human-like impulse that persists beyond the grave, but Nurarihyon is cut from a different cloth. He is simply cruel and makes mischief because of his hatred for humans. He also stands apart from others in Kitaro’s rogues gallery because he finds it repulsive that Kitaro helps humans and targets him for that reason. You’ll have to pick up the book to find out just how Nurarihyon plots Kitaro’s demise, and how he very nearly gets away with it! This volume presents a number of other scheming yokai finding a niche in the modern world, and they are just as dangerous as Nurarihyon. One such creature conceals its gruesome features with long hair, Odoro Odoro. 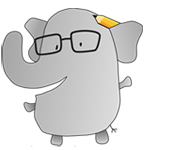 It hides in darkness and uses model planes and identity theft to acquire human blood for its survival. Speaking of blood, you’ll also encounter one of Dracula’s descendants in this volume! Of course, other familiar faces appear in these stories that you may recall from Kitaro’s origins. His father Medama Oyaji is ever-present, who is an animate eyeball that risks his own well-being and ends up in bizarre and sometimes gross situations in order to help his son against a variety of enemies. Nezumi Otoko, the Rat Man, is also hanging around and remains Kitaro’s money-grubbing friend who gets him into the thick of trouble as often as he assists him. This collection of Kitaro stories from the ’60s and ’70s showcases a number of schemers and monsters for Kitaro to combat in a variety of natural and city settings brought to life by Mizuki’s versatile art style. From the cover art you can get a sense of how he highlights comical moments with his cartoonish rendering of the characters and their hijinks; within the pages you can see how he brings energy and excitement to the page when they come to blows. Mizuki also creates evocative backgrounds and establishing shots that are highly realistic and pose an interesting contrast to the characters that populate them. Mizuki captures forests and lonely parts of the countryside at night in appropriately spooky ways, and his otherworldly style in depicting certain yokai pays tribute to traditional artistic representations of spiritual phenomena in Asia, which gives an unsettling air to their alien presence on the manga page. This volume also features an introductory section continuing to narrate the history of Kitaro and Shigeru Mizuki. It provides some insight into the extraordinary life and outlook of the creator and how he grew up surrounded by superstition and magic in nature which would become a lifelong influence. It details some of his remarkable talent and successes as a youth and touches on some of the tragedy in his life fighting in World War II. Mizuki’s life is as fascinating as the characters he has created, and if you are curious to learn more about these events, you should look into some of Drawn and Quarterly’s (and Zack Davisson’s!) other contributions to the English collection of Mizuki texts. His manga history of the Showa period is an engaging look into his life and the fourth volume, Showa: 1953-1989: A History of Japan, delves into how his career as a cartoonist took off. If you are a lover of the weird or irreverent comedy mixed with supernatural horror, manga, and Japanese folklore-inspired fiction, then find the spiritual world portal of your choice to get your hands on a copy of Kitaro Meets Nurarihyon. The Kitaro stories were originally intended for young readers and the young at heart alike, so it’s a great stocking stuffer for the whole family! It’s also a great time to be a yokai fan, as more of Kitaro’s stories are on their way courtesy of Drawn and Quarterly. Keep an eye out for Kitaro: The Great Tanuki War, which will be released in the spring of 2017. For more JQ magazine manga reviews, click here.